Download "[05.05.19] Payments on Termination of an Office or Employment or a Change in its Functions"
What is Redundancy? 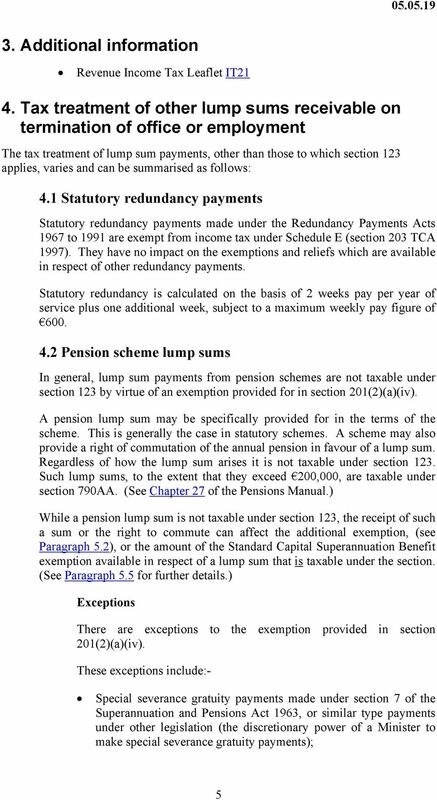 What is the Statutory Redundancy Payment? 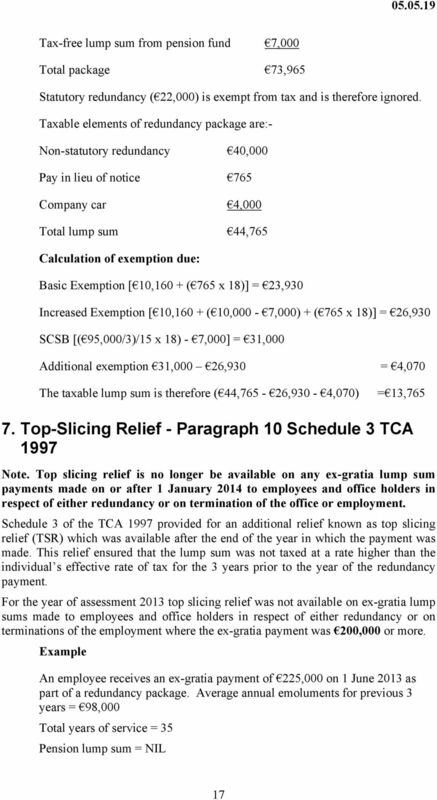 Article Redundancy Payments and Reliefs Available to The Individual Taxpayer. Universal Social Charge Frequently Asked Questions 10 July 2015 These FAQs have been updated on 10 July 2015. The changes from the previous version (published on 31 October 2014) are listed hereunder. Universal Social Charge Frequently Asked Questions 23 October 2015 These FAQs have been updated on 23 October 2015. The changes from the previous version (published on 10 July 2015) are listed hereunder. FAQ 1. 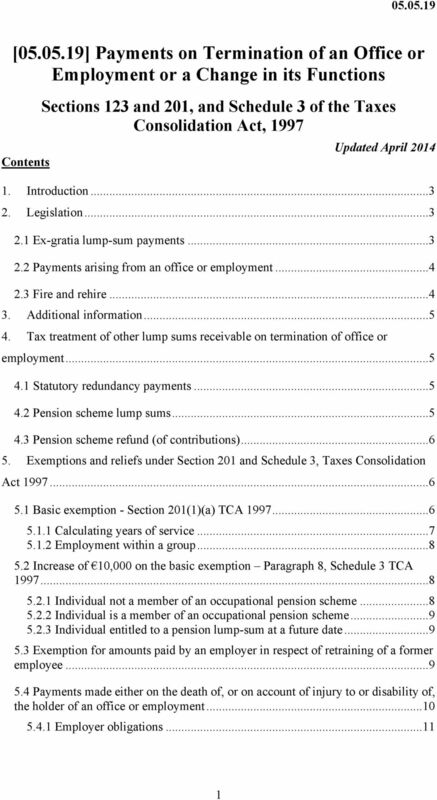 Introduction: A scheme member s entitlement to information annually. 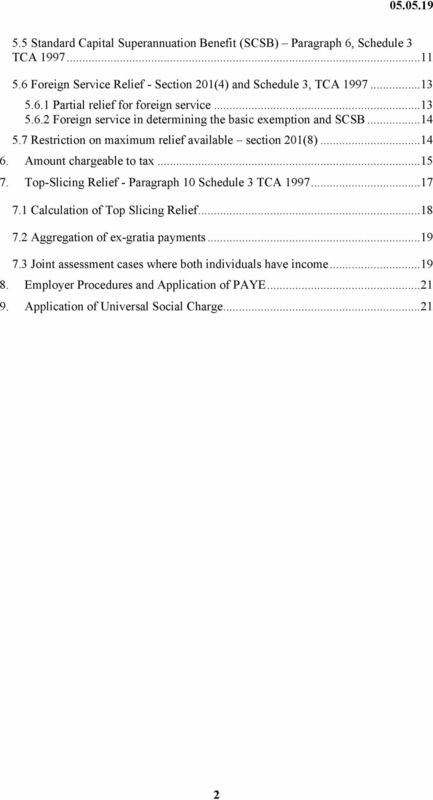 Universal Social Charge Frequently Asked Questions 20 March 2012 These FAQs have been updated on 20 March 2012. 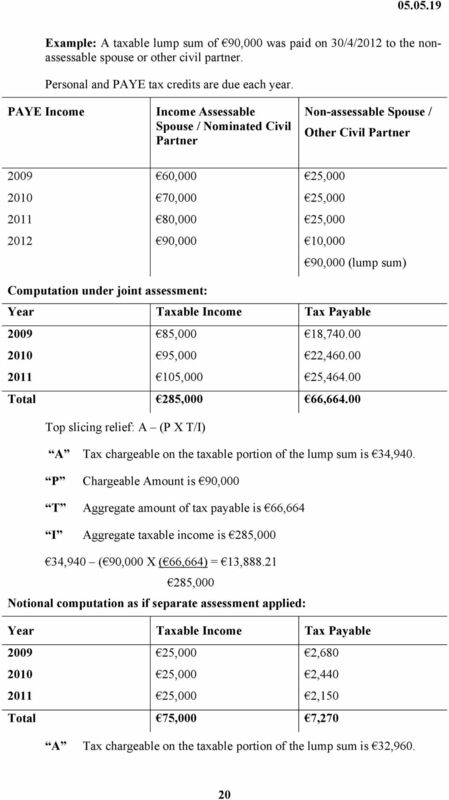 The changes from the previous version (published on 20 January 2012) are listed hereunder. CHAPTER 7. Lump sum benefits must only be paid once, normally at the time of retirement (i.e. 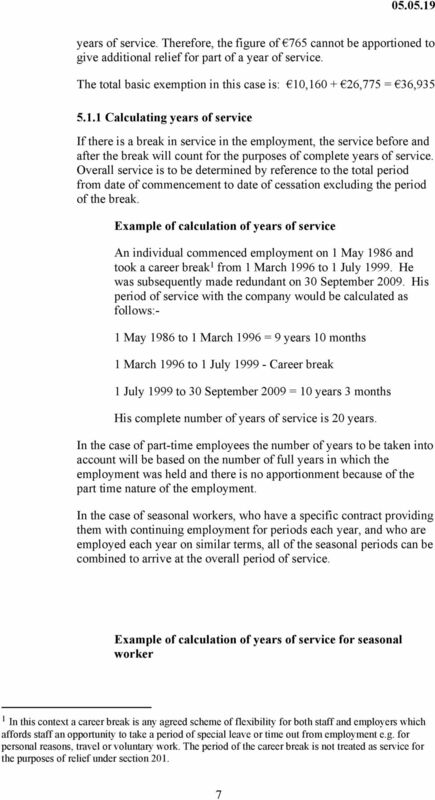 the date on which the pension becomes payable). Voluntary Redundancy guidance for staff This guide tells you about the compensation benefits available under the Research Councils Compensation Scheme 2010 if your employer is offering you voluntary redundancy. Voluntary Redundancy guidance for staff This guide tells you about the compensation benefits available under the Civil Service Compensation Scheme 2010 if your employer is offering you voluntary redundancy. Retirement. 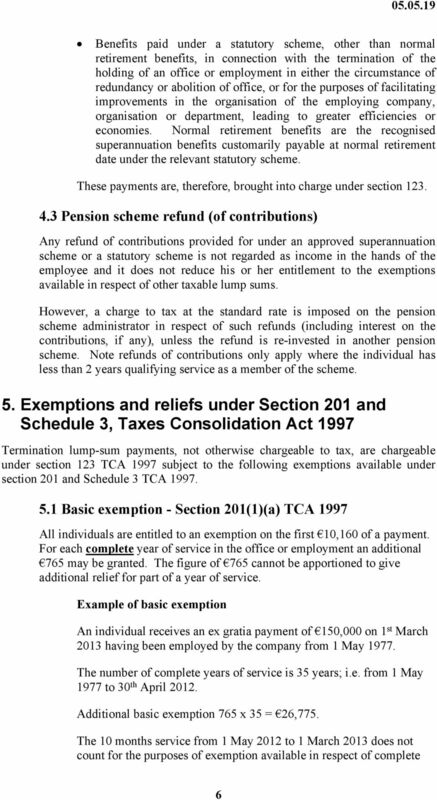 This factsheet sets out the circumstances under which you may retire and receive a pension from USS. RETIREMENT FINAL SALARY SECTION Retirement This factsheet sets out the circumstances under which you may retire and receive a pension from USS. From what age can I receive my retirement benefits from USS? Personal Pensions Freedom in Retirement Plan Personal & Personal (Rebate) Single Contribution Pension Plan Personal Customer Guide This Customer Guide is to be read in conjunction with the Fund Guide. Circular 4/2006: Purchase of notional service for superannuation purposes by Established Civil Servants and by Non-Established State Employees. 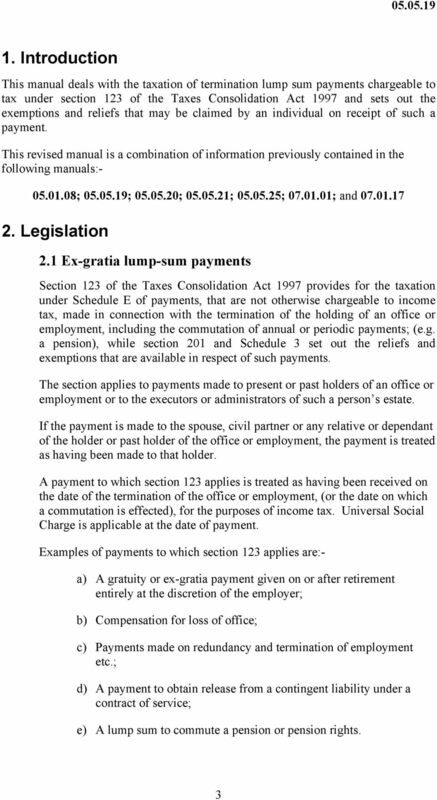 An Act to re-enact and modernise the law relating to payroll tax; to harmonise payroll tax law with other States; and for other purposes.